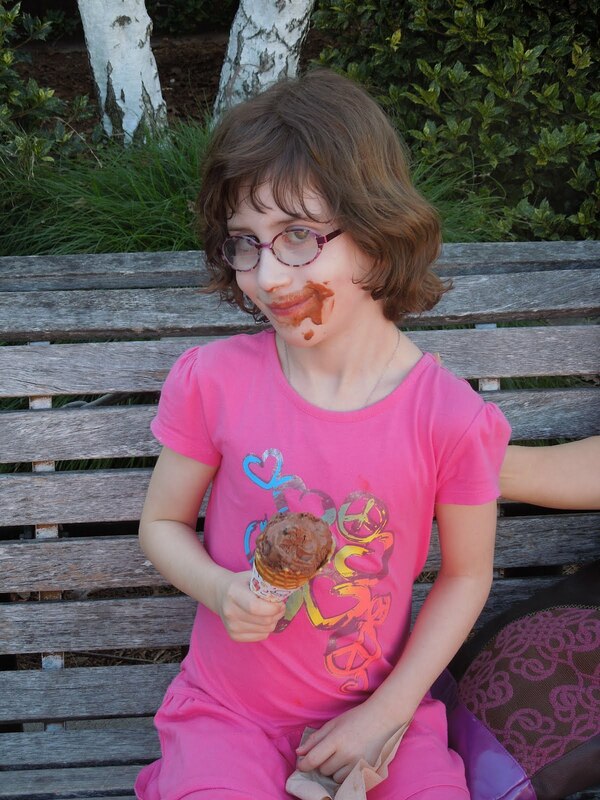 We took Charlotte to Salem last weekend. 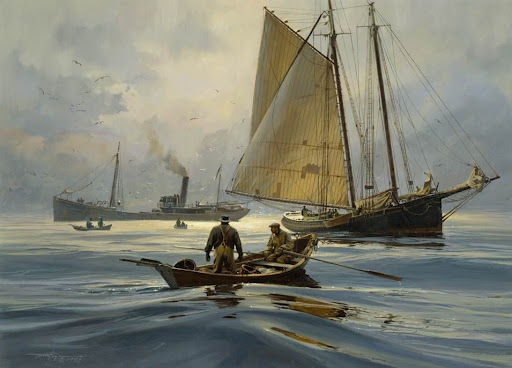 The intent was to spend a day in Marblehead looking at beaches and boats and spend the next day at the Salem Witch Museum and the Peabody Essex. We went to the Peabody Essex Museum first and were all so enthralled that the witches will just have to wait for another day. If you know Charlotte, you know that missing witches is a big deal, so I was pretty thrilled. She talked about how glassy the water looked and we discussed how the artist might have used different colors to get the boaters’ reflection. We were all tickled that the artist’s name was the same as our old street in Chicago. 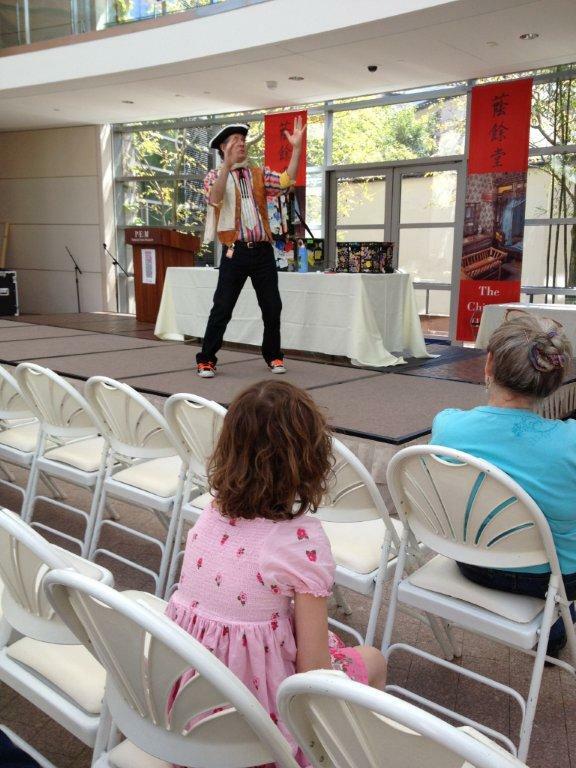 It may be the last day of National Poetry Month, but it certainly isn’t the last day to enjoy poetry. We’ll be reading more and more of it. On June 9, 2012 Children’s Memorial Hospital, or “Charlotte’s Hospital” as we call it, will move into its new home and become the Ann and Robert H. Lurie Children’s Hospital of Chicago. I was fortunate to attend the hospital ground breaking with my mother on April 21, 2008. Charlotte and I attended the “Topping Off” ceremony when the last beam was hoisted to the very top of the tower on December 7, 2009. 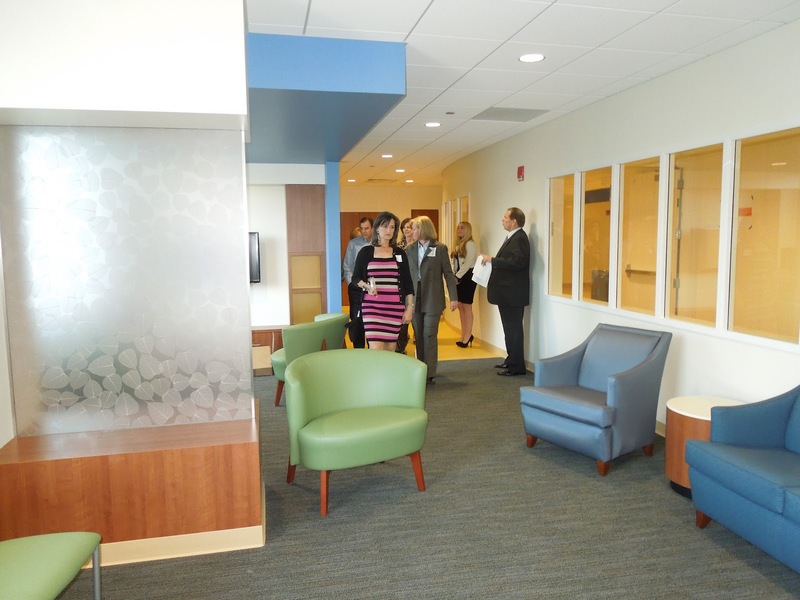 To complete the symmetry, Philippe and I joined my fellow Children’s Service Board members and their spouses on Tuesday for a special ribbon cutting ceremony and tour. I simply don’t have the words to describe the emotions we had so I will instead share with a few pictures. 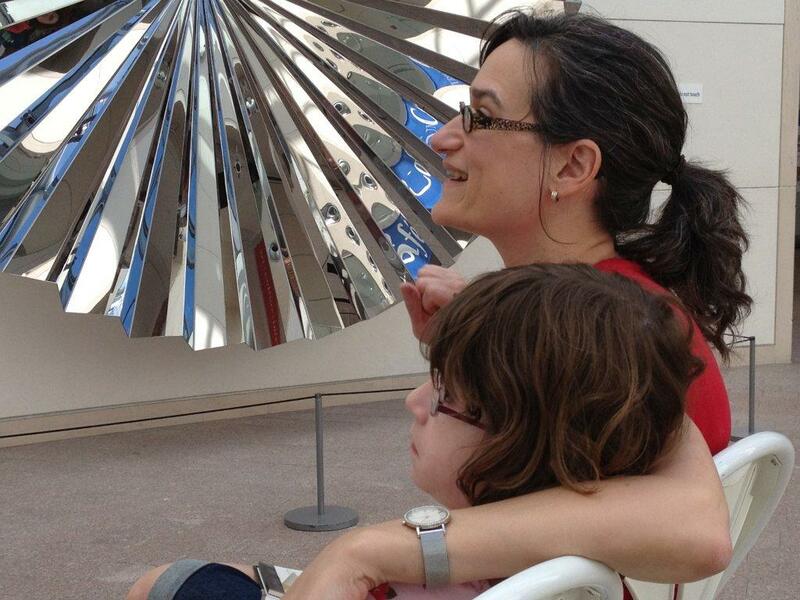 Lurie Children’s has been designed to improve children’s care from myriad perspectives. 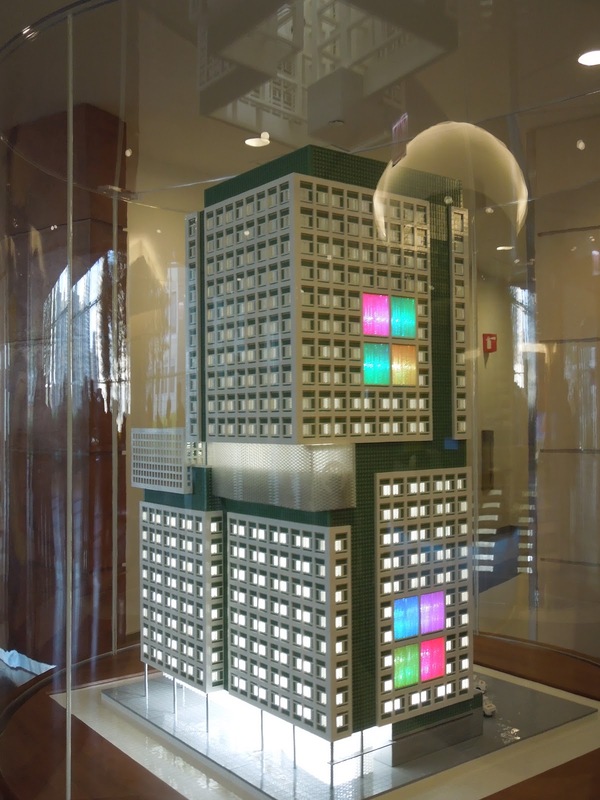 The building and its furnishings feature the latest in technology and in green design. 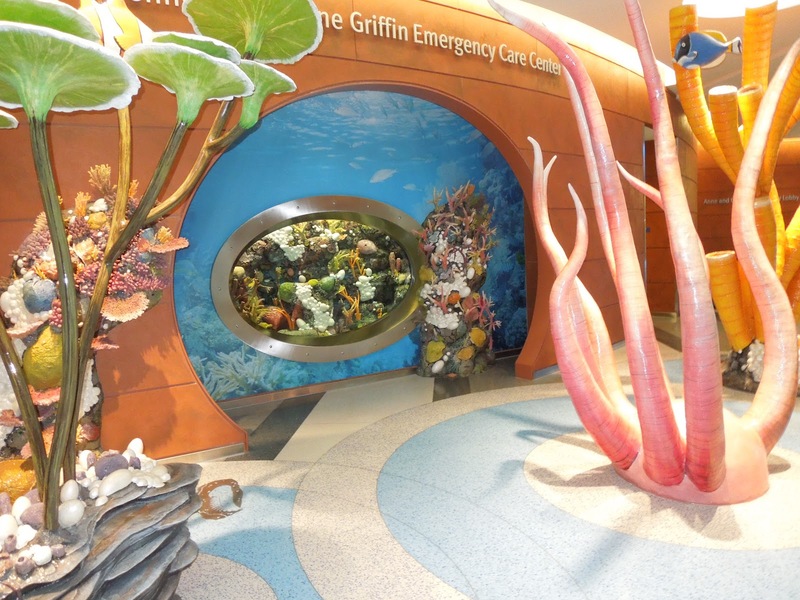 The designers also considered ways to reduce children’s and their parents’ stress, to make all elements of a hospital stay more palatable and convenient. They enlisted the aid of parents, patients, doctors, and staff to understand how each group uses the hospital and what they need. Teenage and adolescent girls said they needed to look good in order to feel good: The new hospital has a salon that will be staffed by volunteers from the Neiman Marcus salon. 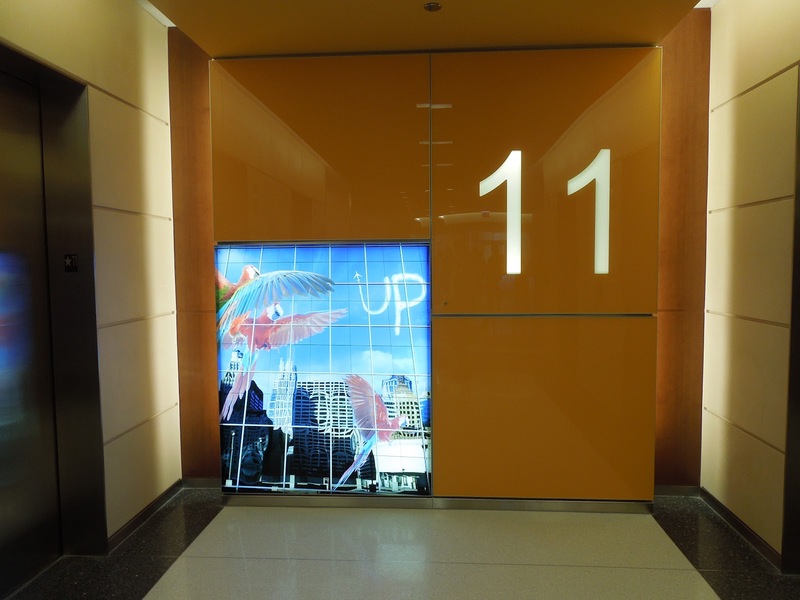 Children of all ages said they needed to get fresh air: The sky lobby features two “pocket gardens” that allow children to safely go outdoors, on the 11th floor, enjoy fresh air and view of Lake Michigan. 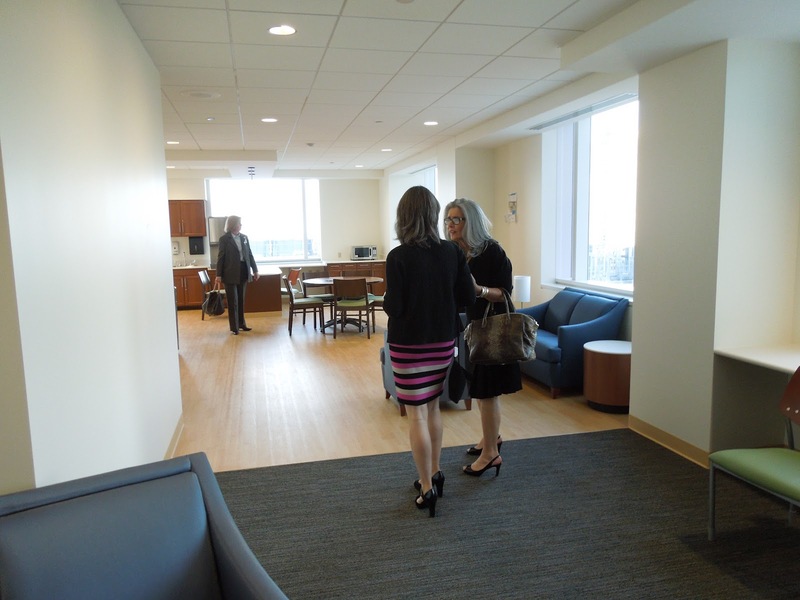 Doctors needed better teaching spaces and collaboration options: Surgical suites have most equipment on ceiling-mounted swing arms to allow for more fluid movement and there is a conference room that can accomodate 300 or be split into 3 smaller classrooms. 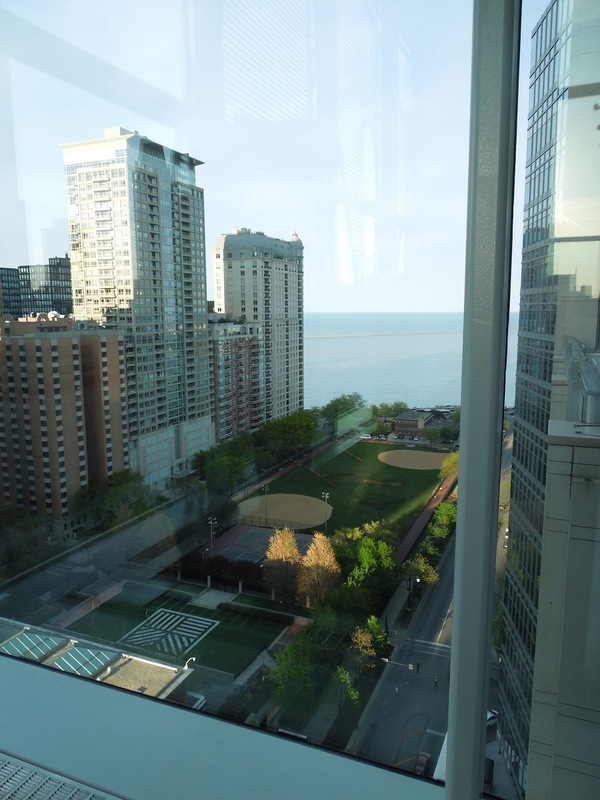 It won’t hurt that this room has panoramic views of Chicago and Lake Michigan! Learn more about the the evidence-based design here. 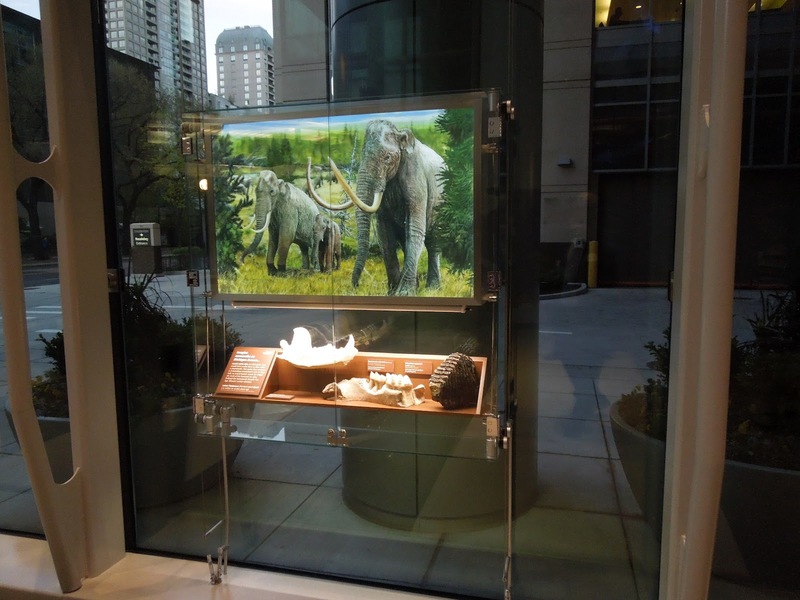 Ground floor lobby at 225 E. Chicago Avenue, in the heart of Streeterville and strategically placed on the campus of Northwestern Memorial Hospital to foster a even more collaborative learning and care environment with doctors and researchers at NMH, Prentice Women’s Hospital and the Rehab Institute. 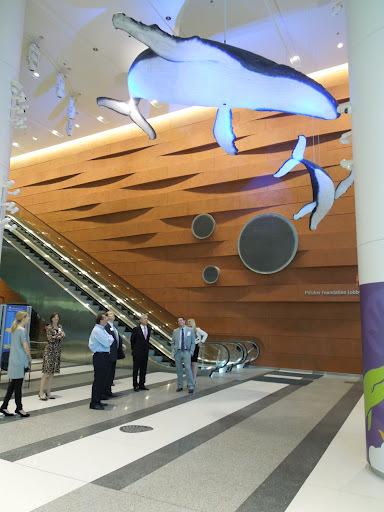 The whales were donated by the Shedd Aquarium. . More than twenty cultural organizations contributed to the kid-friendly design of the space. My honey at the Siragusa Lobby Elevator ready for the big tour. Thanks Philippe for making possible the work I do for the hospital and for supporting the CSB in many ways! You can’t see it, but his tie is the CMH hand printed on a blue field. He matched our name tags! 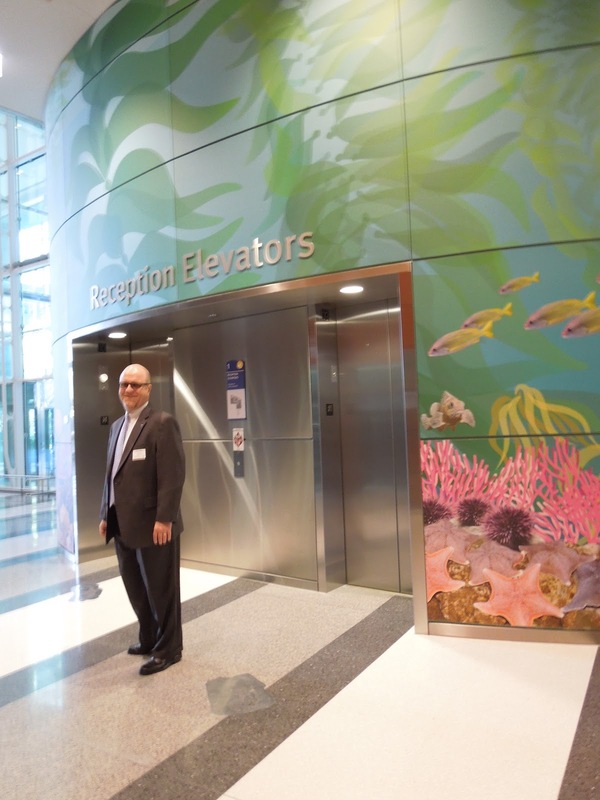 Follow the escalators (or take an elevator) to the second floor reception area where you can access the Emergency Department. The ED entrance is to the right of this REAL aquarium (Thank You, Shedd!) which is visible from the ED waiting area as well. The sculptures are meant to be climbed on. 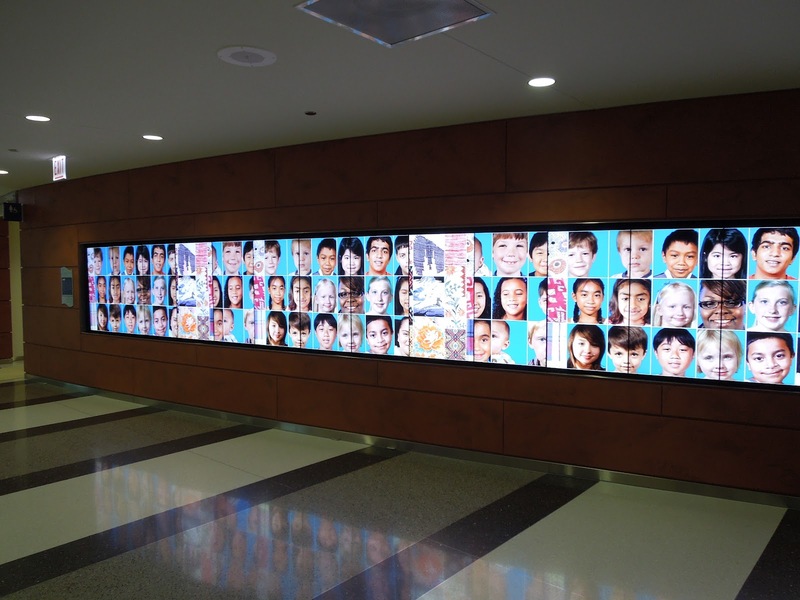 A video collage wall by Jaume Plensa, the artist who designed the Crown Fountains in Millennium Park. 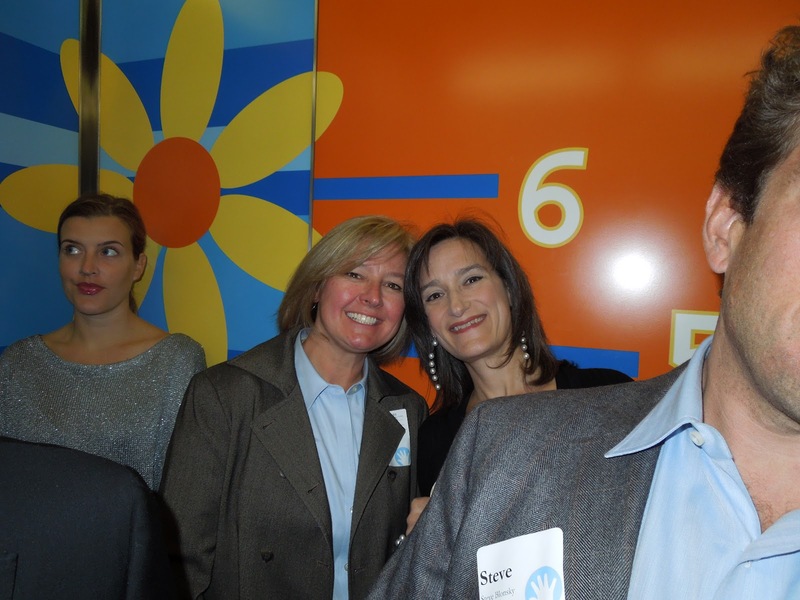 Mary Hess and I feel 6′ tall in this elevator! 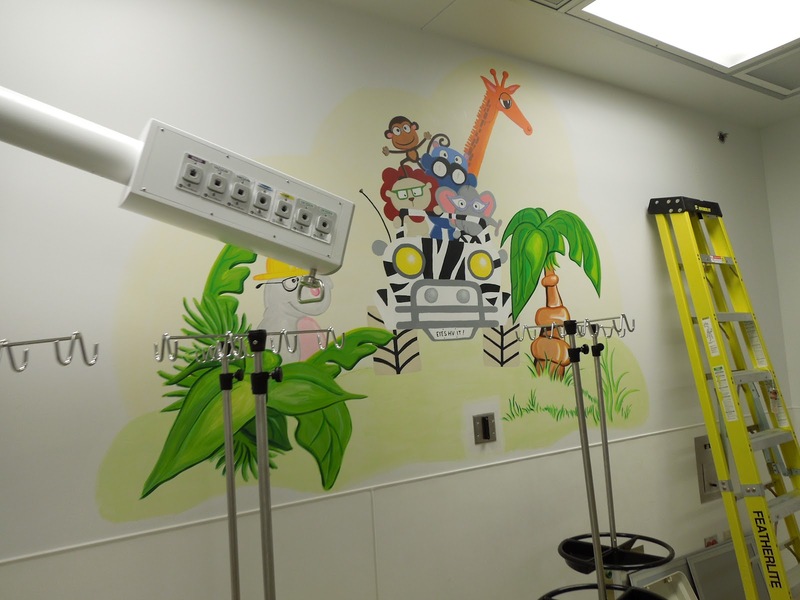 Operating Suites each have a mural designed to entertain (and calm) children. OR prep and recovery will occur in private glass-doored pods. 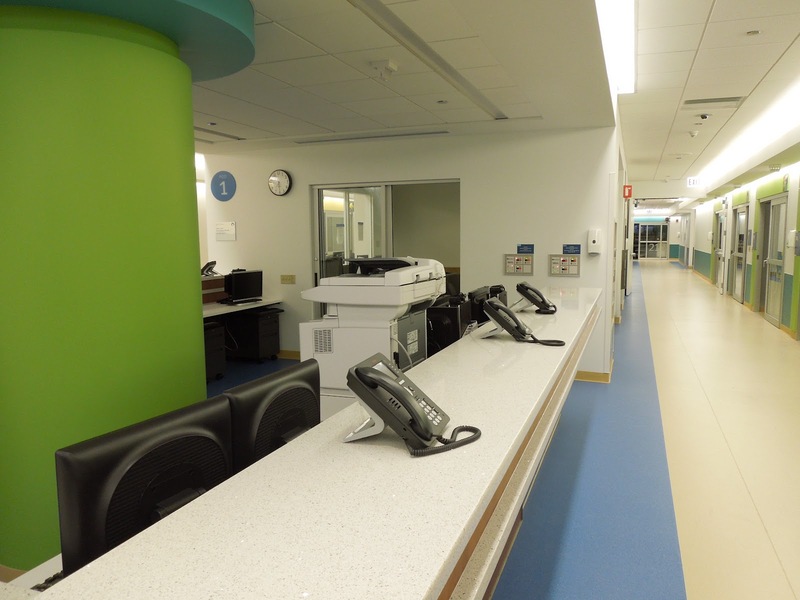 Equipment in ORs is mounted from the ceiling to allow better movement in the room. And there is a robotic surgery capability in one of the suites! There’s art EVERYWHERE. Some by kids (we didn’t get photos of that) and some by famous and generous Chicago artists. 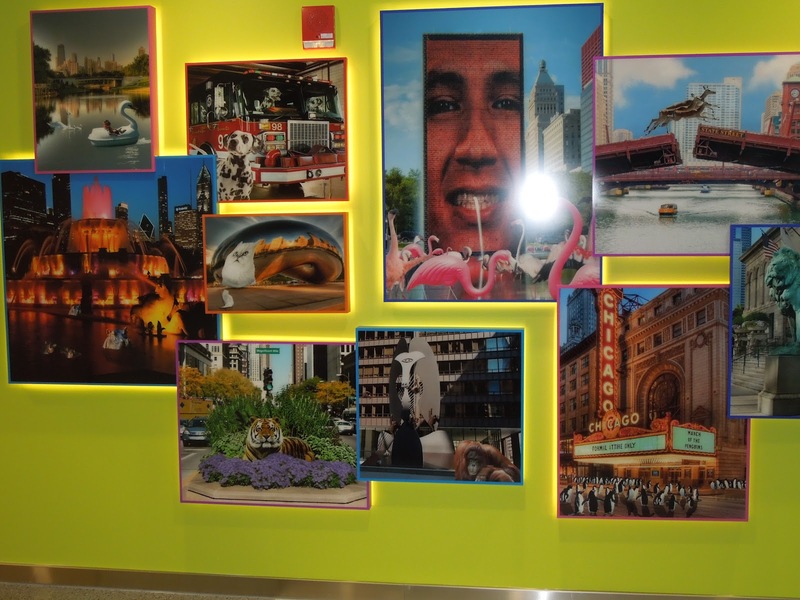 This artist did all the photo-collages for the elevator bays. And, yes, there is a REAL fire truck in the hospital. You can turn on the lights, steer, and honk the horn. No sirens, of course. Some local set designers built an old-style firehouse around it. 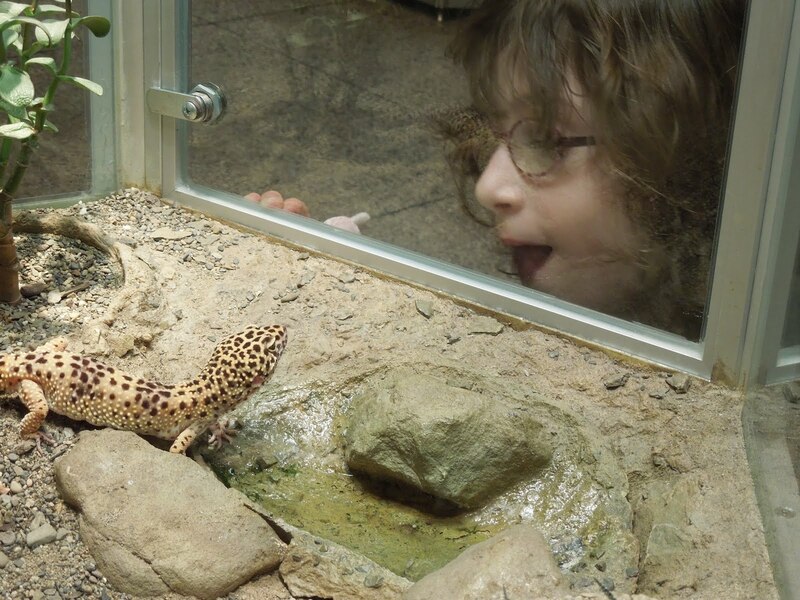 Philippe had a blast! 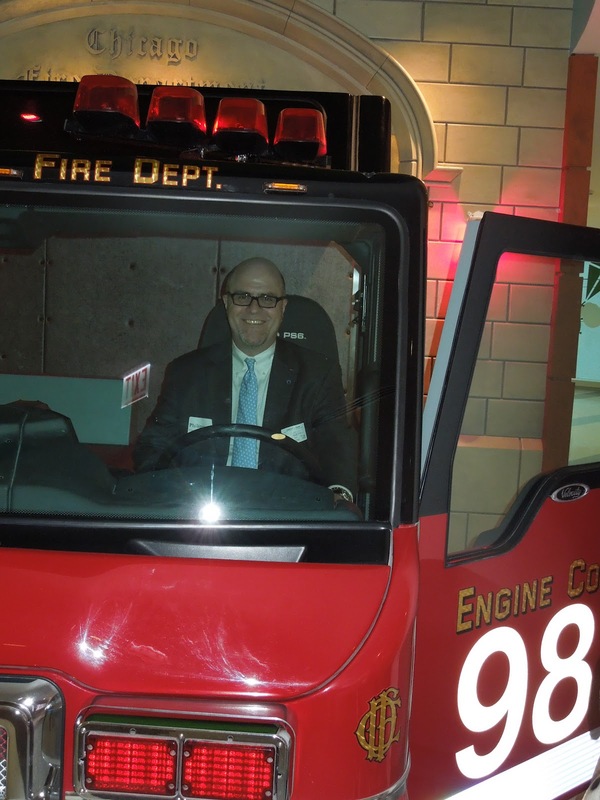 Custom-designed fire truck cab donated by Pierce Manufacturing, 12th floor. Space for families to relax, regroup, cry, eat, rest. Including private kitchens, gorgeous views, work spaces, and more. The views. Need I say more? The Executive Committee cuts the ribbon on the Children’s Service Board Security Desk, 11th floor Sky Lobby. Stay tuned for a link to an album of more pictures and more fun facts as we count down to Moving Day! 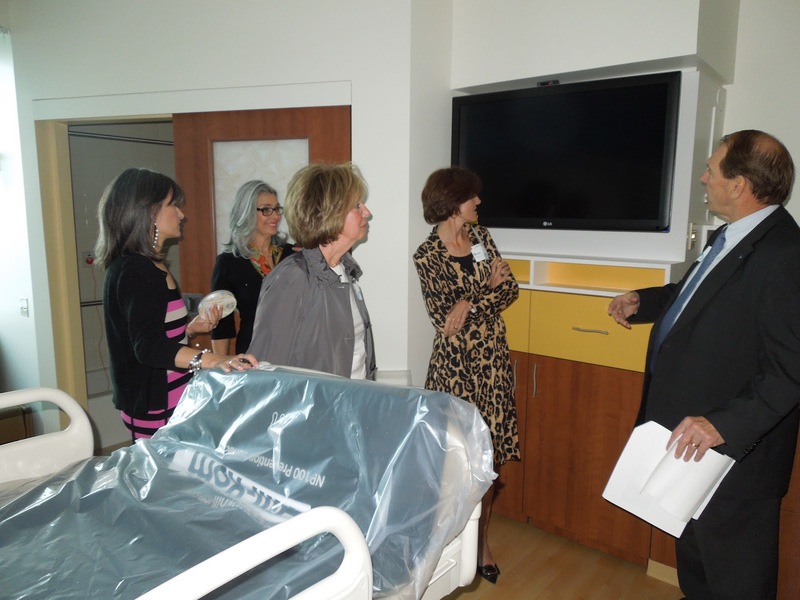 To learn more about the Ann and Robert H. Lurie Children’s Hospital of Chicago click here. A hospital this amazing takes a lot of heroes. If you aren’t already, or if you’re inspired to do so again, join the Heroes for Life campaign with a donation of any size that moves you. Be a part of this historic moment in the life of a world class hospital, Charlotte’s Hospital!, and world class city. 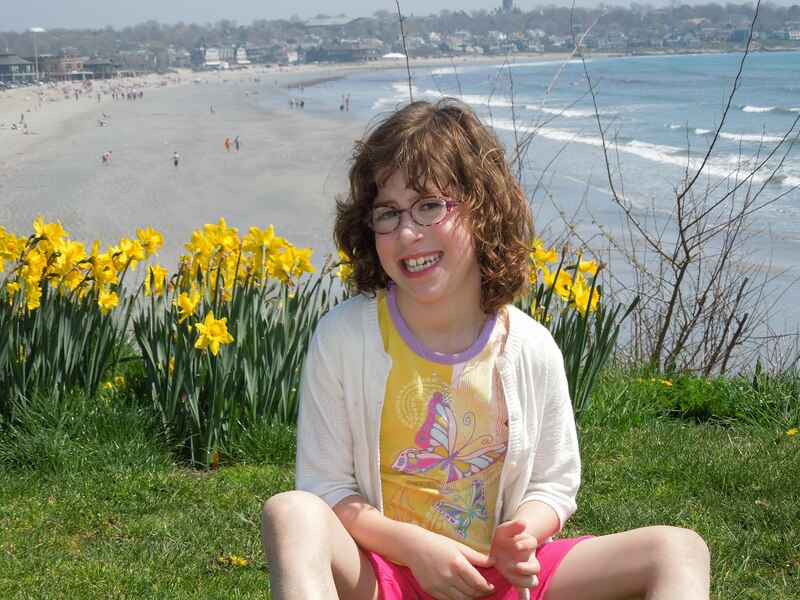 Just click on the picture or here to learn even more about this AMAZING hospital and donate!